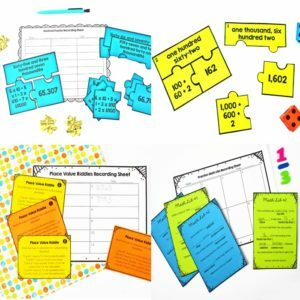 Some students certainly have strong opinions about math the older they get, and by the time students are in 4th and 5th grade, you will find such a wide range of ability levels in one classroom. 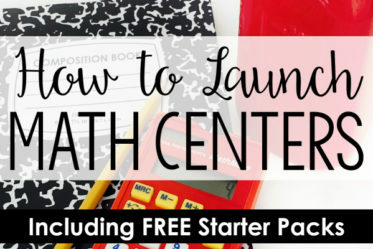 I get asked a lot about how parents can help 4th and 5th graders with math at home, because it is one of those subjects that not only challenges students but may be taught in vastly different ways than the parent learned. The best advice I can give parents is this: get involved even in small ways. 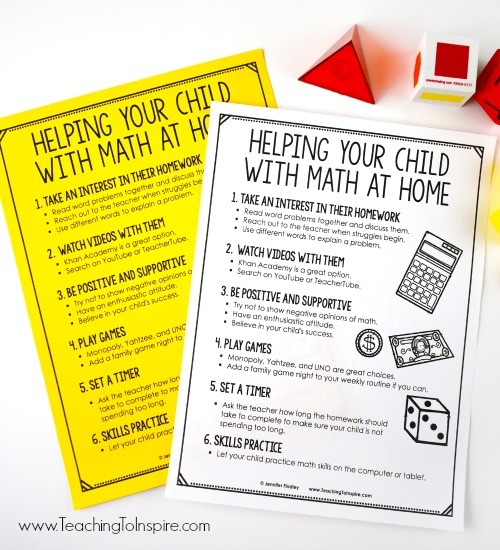 This post will share some of the ways that I recommend to parents to help them get involved with their child’s math learning and support their child with math homework. Try to get parents involved in their child’s math homework and reaching out to you if they see their child really struggling with concepts. 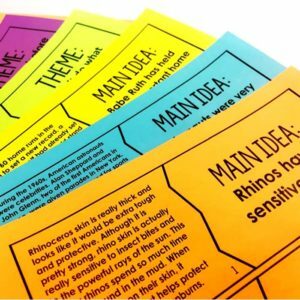 I regularly assess my students with exit slips during instruction but there are times when students still struggle or hadn’t really mastered a skill to begin with. I want my parents to feel comfortable letting me know if and when they see their child struggle. However, it is important to make sure that parents know that getting involved does not mean doing their child’s homework or letting older siblings do the homework. Explain to parents that they are to guide them, but not do it for them. 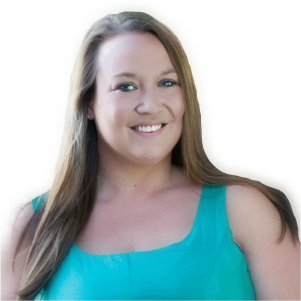 I always explain that their child will feel much more confident and learn a lot more when they do it for themselves with their parent’s guidance rather than having it be done for them. 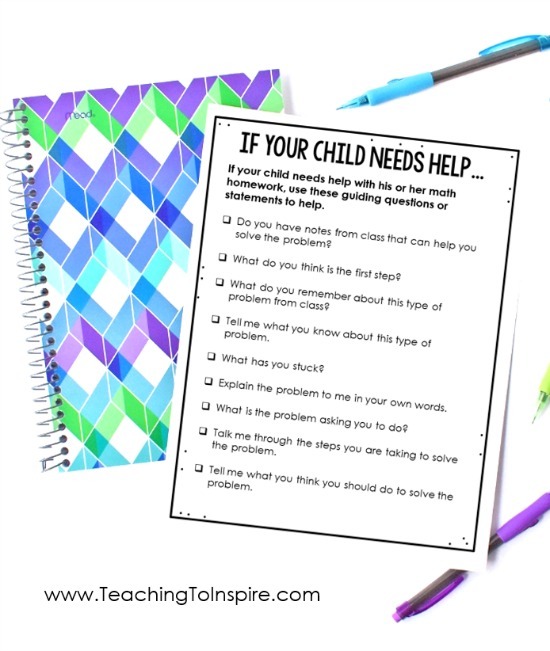 I provide my parents with a list of guiding questions and statements for them to choose from when their child does needs help. 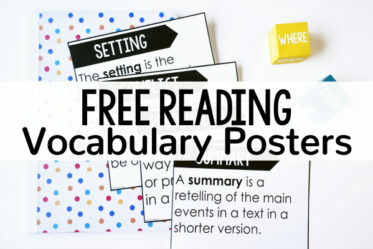 This printable is available for download at the bottom of this post with the other printables shown on this post. I love finding good videos that help explain math concepts. One of my favorite resources for math videos to recommend to parents is Khan Academy. 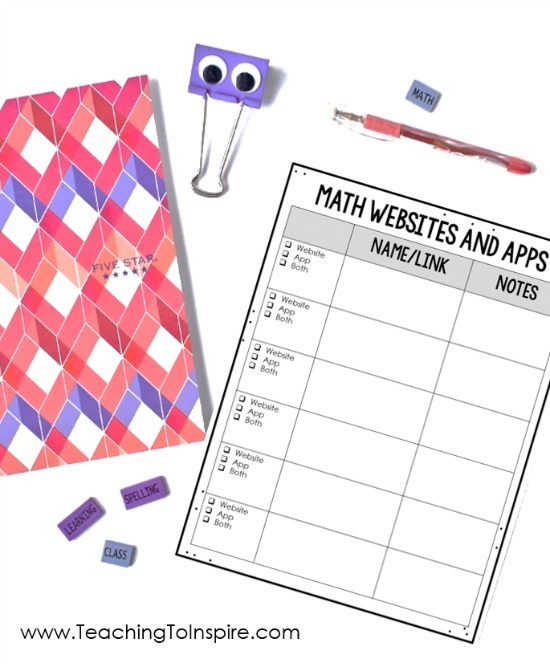 When you introduce a new math concept to students, you can find a corresponding video online and send the link on to parents through email or other communication like ClassDojo or Remind. 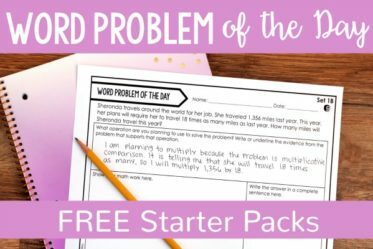 Not only does it help refresh students’ memories of how to solve the problem, it will give parents an example of how to do it, too. Since you are choosing the math video, you will also be able to make sure it teaches it the way the students have seen it. Another option if you do not want to send home links, let parents know they can search on YouTube or TeacherTube for videos that address the concept the child is learning. I always suggest that parents preview the videos first before showing them to their child though. Also, giving the parents specific names for the strategies you teach will help them find the right videos and avoid confusion (partial quotients for division, for example). I have found that a lot of parents have reluctance or even negative opinions of math from when they were growing up. Sometimes it helps to remind parents that these feelings are normal but we won’t to make sure we try not to have them carry over to their child. 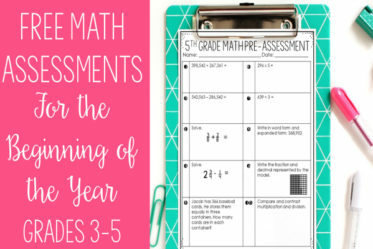 During conferences, I always tell them that one of best things they can do for their child is to have a positive and supportive attitude about math. Teachers know the power of games and learning but parents sometimes need those reminders. Monopoly is great for strategy, addition, subtraction, and multiplication. Yahtzee is great for addition and grouping. Games like Perpetual Commotion enhance processing skills while UNO is all about counting, strategy, and number recognition. Even games like Scrabble that parents may normally consider better for language arts call on kids to add, multiply, and compare numbers. 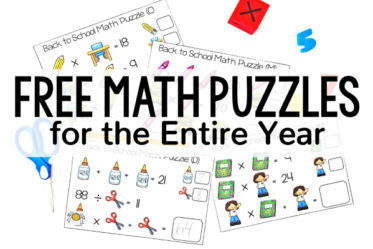 For parents that have the time and financial means, you may recommend some of the above games to help their child practice basic math skills in a fun way. The stronger they are in basic concepts, the easier more complex lessons will be. 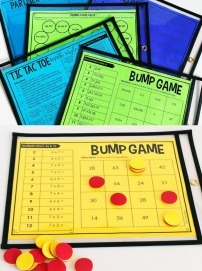 Games are a great way to sneak learning in without kids even knowing. 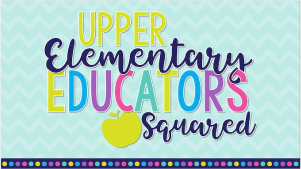 If your school has a parent outreach program, see if they have any of these games that parents can check out to play with their children. Another option is to send home decks of cards with games that can be played. 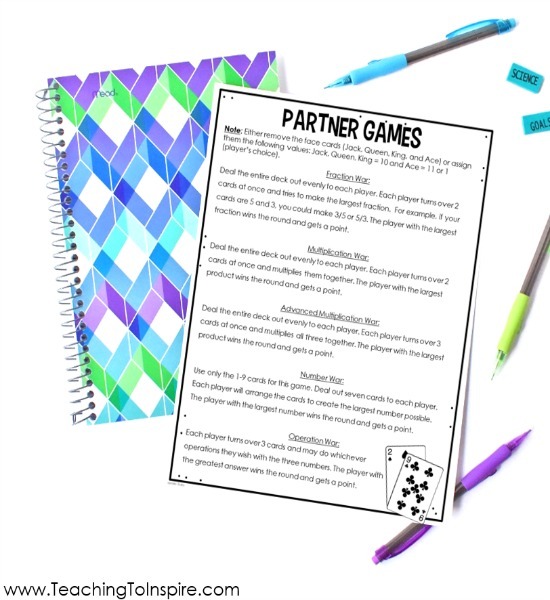 I like to send home the below printable with five different games that the students and their parents (or older siblings) can play with the deck of cards. This free printable can be downloaded at the bottom of this post with the other printables featured on this post. Early on in the year, I like to let my parents know that their math homework should take no more than 15 minutes for them to complete. If a child is spending way longer than that, there is a problem and I don’t want a student spending an hour on their math a night. If a parent has concerns about their child taking too long, I recommend having them set a timer for the amount of time that I suggest spending on the problems and stop when the timer goes off. As a teacher, I would much rather a sticky note attached to the homework that says, “Jacob worked on this assignment for 30 minutes and this is what he was able to do in that time” than having Jacob spend three hours on an assignment and end the night in tears. I use this printable and record my recommended website and apps. This allows me to differentiate what recommendations I make. This download is also included at the bottom of this post. 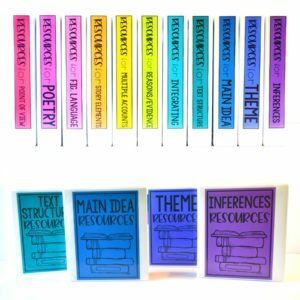 Click here to download the printable with these tips summarized and the other printables mentioned above that you can pass out at parent-teacher conferences or any other parent night. 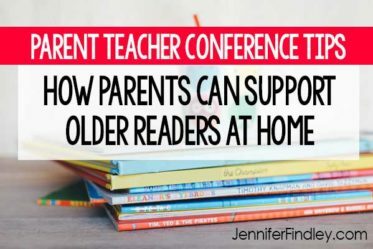 Want parent-teacher conference tips for supporting readers in 3rd-5th grade? Click here to check out that blog post! I hope these tips are helpful to you and your parents! 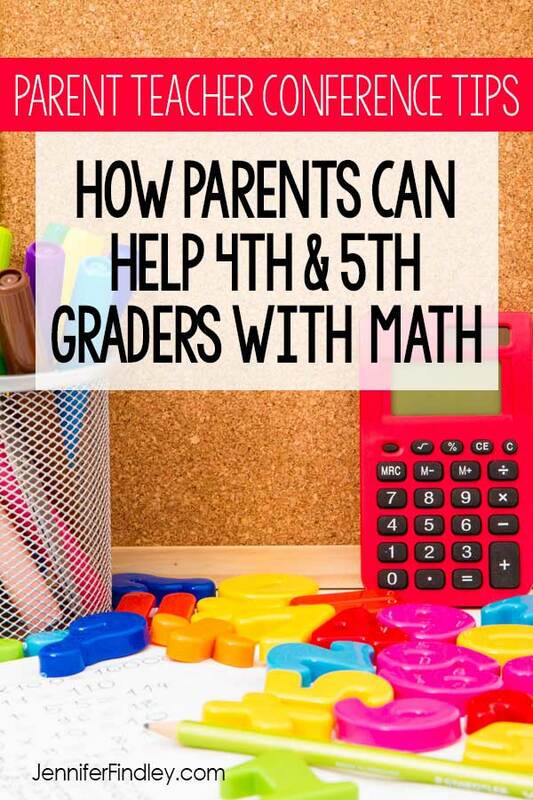 Do you have any other parent-teacher conference tips that you use to help your parents help their children with math? Thank you for sharing!! Will you please let us know when the SPanish is ready as well? You rock! !